Throughout Africa one craft among many stands out: that of the blacksmith. In many African cultures, smiths occupy a significant position, not just as artisans engaging in a difficult craft but also as special people. Often they perform other crafts, as well, and make up a somewhat separate group inside society. 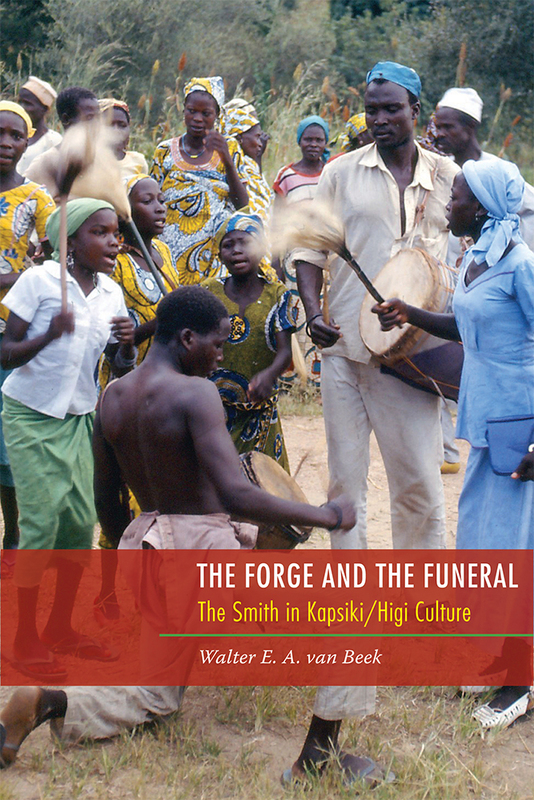 The Forge and the Funeral describes the position of the smith in the culture of the Kapsiki/Higi of northern Cameroon and northeastern Nigeria. Situated in the Mandara Mountains and straddling the border of these two countries, Kapsiki culture forms a specific and highly relevant example of the phenomenon of the smith in Africa. As an endogamous group of about 5 percent of the population, Kapsiki smiths perform an impressive array of crafts and specializations, combining magico-religious functions with metalwork, in particular as funeral directors, as well as with music and healing. The Forge and the Funeral gives an intimate description and analysis of this group, based upon the author’s four decades–long involvement with the Kapsiki/Higi. Description and analysis are set within the more general scholarly debates about the dynamics of professional closure—including the notions of caste and guild—and also consider the deep history of iron and brass in Africa. Walter E. A. van Beek is Professor of Religious Anthropology at Tilburg University in the Netherlands and senior researcher at the African Studies Centre in Leiden.